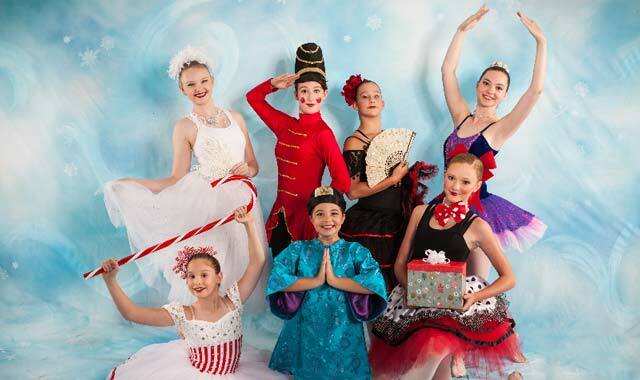 The young dancers of Dancewerks Studio and Parker Playhouse Performers share some holiday joy on Dec. 17 at Barrington’s White House. Through Nov. 19, Mon.-Tue., Th. 9 a.m.-5:30 p.m.; Wed. to 6 p.m., Sat. 10 a.m.-3 p.m.; Sun. 1-4 p.m. Nearly 30 area artists specializing in oil pastels display their works. Elgin Artspace, 51 S. Spring St., Elgin, (847) 214-2922, yellowhouseartists.com. Nov. 3-19, Fri.-Sat. 8 p.m., Sat.-Sun. 2 p.m. A big, green ogre who lives on a swamp embarks on a journey to rid his land of fairytale creatures and falls in love with an extraordinary princess. Presented by TownSquare Players. Woodstock Opera House, 121 Van Buren St., Woodstock, (815) 338-5300, townsquareplayers.org. Nov. 4-Jan. 14, 9 a.m.-4 p.m. Artist reception, Nov. 5, 1-3 p.m. Over the past 14 years, Carol Freeman has photographed hundreds of Illinois’ threatened and endangered species. Lost Valley Visitor Center, Ill. Rt. 31 and Harts Road, Glacial Park, Ringwood, (815) 338-6223, mccdistrict.org. Nov. 11, 7:30 p.m. The premier touring musical representatives for the U.S. Army for more than half a century. Egyptian Theatre, 135 N. 2nd St., DeKalb, (815) 758-1215, egyptiantheatre.org. Nov. 11, 8 p.m. “Ballet with a Twist NYC” reinvents the glamour and excitement of classic entertainment, combining Hollywood’s Golden Age with a sleek 21st-century sensibility. Experience an original mix of pop-infused choreography, music and costumes. Raue Center for the Arts, 26 N. Williams St., Crystal Lake, (815) 356-9212, rauecenter.org. Nov. 12, 5 p.m. Featuring Peter Yarrow of Peter, Paul and Mary, the concert showcases young singers and musicians who return us to a time when music brought us together and changed us. Arcada, 105 E. Main St., St. Charles, (630) 962-7000, arcadalive.com. Nov. 16, 6:30 p.m. This Barrington Hills artist specializes in original oil paintings of nature and pets. Music provided by Barrington Music Institute. Barrington’s White House, 145 W. Main St., Barrington, (224) 512-4284, barringtonswhitehouse.com. Nov. 16-19, Thu.-Sat. 7:30 p.m., Sat.-Sun. 3:30 p.m. Performers explore the artistic attributes of ice, combining skating, sliding, aesthetics and acrobatic feats. Sears Centre Arena, 5333 Prairie Stone Parkway, Hoffman Estates, (847) 649-2270, searscentre.com. Nov. 17, 7:30 p.m. A world champion dancer, Yazzie and his crew combine traditions of American Indians while introducing a wide spectrum of Native music and movement. Prairie Center for the Arts, 201 Schaumburg Court, Schaumburg, (847) 895-3600, prairiecenter.org. Nov. 17-18, 7:30 p.m. The longest-running solo play in Broadway history reveals, with laughter, the misunderstandings between men and women. Metropolis Performing Arts Center, 111 W. Campbell St., Arlington Heights, (847) 577-2121, metropolisarts.com. Bette Davis Isn’t for Sissies! Nov. 18, 8 p.m. Jessica Sherr performs her acclaimed one-woman show as a tenacious young starlet fighting her way to the top. Arcada Family Theatre at Pheasant Run, 4051 E. Main St., St. Charles, (630) 584-6300, pheasantrun.com. Nov. 18-19, Sat. 8 p.m., Sun. 7 p.m. Some 40 years on, Gerry Beckley and Dewey Bunnell are thrilling audiences with their timeless sound. Arcada, St. Charles, (630) 962-7000, arcadalive.com. Nov. 19, 3 p.m. Pieces by German masters Carl Maria von Weber and Robert Schumann are performed by acclaimed clarinetist Kim. Wentz Concert Hall, 171 E. Chicago Ave., Naperville, (630) 778-1003, dupagesymphony.org. Nov. 19, 3 p.m. Enjoy classical music with a twist, from bebop jazz, electronic pop and original compositions to jazzed-up classical selections. Elmhurst Symphony Orchestra, Mayslake Peabody Estate, 1717 31st St., Oak Brook, (630) 206-9566, elmhurstsymphony.org. Nov. 20, 7 p.m. Unorthodox herbalist-healer Grace sticks out mightily in a God-fearing community. When the court orders a trial by dunking, will Grace sink or float? Williams Street Repertory, Raue Center, Crystal Lake, (815) 356-9212, rauecenter.org. Nov. 22-Jan. 7, see website for times. After discovering he isn’t an elf, Buddy travels from the North Pole to New York City in search of his real father. Paramount Theatre, 23 E. Galena Blvd., Aurora, (630) 896-6666, paramountaurora.com. Nov. 24-25, Dec. 1-2, 8 p.m.; Nov. 26, 4 p.m.; Dec. 2-3, 2 p.m. The American classic comes to life as a live 1940s radio broadcast, with an ensemble of actors telling the story of George Bailey. Woodstock Opera House, Woodstock, (815) 338-5300, woodstockoperahouse.com. Nov. 24-Dec. 30, Fri.-Sat. 8 p.m., Sun. 3 p.m. Steel Beam Theatre, 111 S. Main St., St. Charles, (630) 587-8521, steelbeamtheatre.com. Nov. 25, 8 p.m. A realistic concert experience featuring the Eagles’ greatest hits like “Life in the Fast Lane,” “Hotel California” and “Take it Easy.” Raue Center, Crystal Lake, (815) 356-9212, rauecenter.org. Nov. 29, 10:30 a.m. Dickens’ classic holiday tale of miserly Scrooge’s redemption. Metropolis, Arlington Heights, (847) 577-2121, metropolisarts.com. Nov. 30, 7:30 p.m. Three inspiring tenors bring your favorite Christmas songs to life with epic orchestrations and lush harmonies. Metropolis, Arlington Heights, (847) 577-2121, metropolisarts.com. Dec. 1, 5-8 p.m. Featuring work by Lakes Region Watercolor Guild, Janet Rieck and resident artists. Family-friendly activities include lighting of Dole Mansion Christmas tree. Lakeside Legacy Arts Park, 401 Country Club Road, Crystal Lake, (815) 455-8000, lakesideartspark.org. Dec. 1-3, Fri.-Sat. 7 p.m., Sat.-Sun. 2 p.m. The talented dancers of Barrington Dance Ensemble present the classic Tchaikovsky ballet. Barrington High School Richard C. Johnson Auditorium, 616 W. Main St., Barrington. Tickets/Info: (847) 382-6333, byde.org. Dec. 1, 8 p.m. An evening of improvisation, à la “Whose Line is it Anyway?” A 100-percent “clean” show by GreenRoom Productions. Hemmens Cultural Center, 45 Symphony Way, Elgin, (847) 931-5900, hemmens.org. Dec. 1-29, see website for times. In this spirited retelling of the holiday classic, Marley gets one more chance to free himself and redeem the skinflint Scrooge. Steel Beam Theatre, St. Charles, (630) 587-8521, steelbeamtheatre.com. Dec. 4, 7:30 p.m. The Lakeside Singers perform carols and holiday samplings, both classical and contemporary. Metropolis, Arlington Heights, (847) 577-2121, metropolisarts.com. Dec. 5, 3 p.m. Singer Lisa Rock and her band keep The Carpenters’ holiday traditions alive, bringing their Christmas songs to the stage. Metropolis, Arlington Heights, (847) 577-2121, metropolisarts.com. Dec. 8, 8-11 p.m. Enjoy the beloved Holiday Pops Concert, featuring festive combinations of contemporary and classic hits. Raue Center, Crystal Lake, (815) 356-9212, rauecenter.org. Dec. 9-10, Sat.-Sun. 2:30 p.m., Sat. 7:30 p.m. Elgin Symphony Orchestra’s tradition continues with a holiday extravaganza for the entire family, complete with an appearance by a very special visitor from the North Pole. Hemmens, Elgin, (847) 888-4000, elginsymphony.org. Dec. 9-10, Sat. 8 p.m., Sun. 3 p.m. Chicago’s award-winning singer-entertainer puts you in the holiday spirit with holiday favorites. Barrington’s White House, Barrington, (224) 512-4284, barringtonswhitehouse.com. Dec. 10, 4 p.m. Celebrate the season with DuPage Symphony Orchestra’s family-friendly program featuring holiday favorites from around the world. Wentz Concert Hall, Naperville, (630) 778-1003, dupagesymphony.org. Dec. 10, 4-6 p.m. Voices in Harmony and a 25-piece orchestra perform Handel’s masterwork, joined by the McHenry County College Chorus and the audience. Raue Center, Crystal Lake, (815) 356-9212, rauecenter.org. Dec. 11, 7:30 p.m. Comedian Benker uncovers human daffiness in a colorful multimedia presentation. Metropolis, Arlington Heights, (847) 577-2121, metropolisarts.com. Dec. 12, 7:30 p.m. Journey with Elizabeth Morgan and her band from big city to farm country and back again through folk music, gospel, bluegrass and storytelling. Metropolis, Arlington Heights, (847) 577-2121, metropolisarts.com. Dec. 14, 7 p.m. Join WSRep actors for this monthly reading of selected classic and contemporary literary works. Raue Center for the Arts, Crystal Lake, (815) 356-9212, rauecenter.org. Dec. 14, 7:30 p.m. Baritone Jared Bradshaw is joined by a trio singing the infectious harmonies of the Andrews Sisters. Metropolis, Arlington Heights, (847) 577-2121, metropolisarts.com. Dec. 15, 7:30 p.m. Following in the path of classic harmony groups like the Temptations, this veteran group incorporates pop and neo-soul into a holiday a capella show. Batavia Fine Arts Centre, 1399 W. Wilson St., Batavia, (630) 937-8930, bataviafineartscentre.org. Dec. 16, 7:30 p.m. These world-renowned, award-winning musicians return to their childhood hometown and share their piano and cello talent. Barrington’s White House, Barrington, (224) 512-4284, barringtonswhitehouse.com. Dec. 16-17, Sat. 1 & 5 p.m., Sun. 1 p.m. The Berkshire Ballet Theatre delights with lavish costumes and powerful dancing set to Tchaikovsky’s unforgettable music. Raue Center, Crystal Lake, (815) 356-9212, rauecenter.org. Dec. 17, 3 p.m. Join the dancers and Parker Playhouse Performers as they express the joy of the season. Barrington’s White House, Barrington, (224) 512-4284, barringtonswhitehouse.com. Dec. 17, 7:30 p.m. Paul Cosentio and the band capture the energy and swing of Benny Goodman. Vocalist Jennifer McNulty joins them. Metropolis, Arlington Heights, (847) 577-2121, metropolisarts.com. Dec. 19, 7:30 p.m. The Lira singers and dancers perform Polish folk songs, carols and dances in authentic folk costumes. Metropolis, Arlington Heights, (847) 577-2121, metropolisarts.com. Dec. 20-31, see website for times. Laugh along with this revue, which captures the magic, mystery and mayhem of the season with original songs and sketches. Metropolis, Arlington Heights, (847) 577-2121, metropolisarts.com. Dec. 22, 8 p.m. An evening of entertainment by this Poison rock star, supercross enthusiast and philanthropist. Arcada, St. Charles, (630) 587-8400, arcadalive.com. Dec. 22-30, Fri. 8 p.m., Sat. 3 p.m. & 8 p.m. Bring the family and celebrate the holidays with the Williams Street Rep Ensemble and Comedy Troupe. Raue Center, Crystal Lake, (815) 356-9212, rauecenter.org. Dec. 23, 8 p.m. Four internationally acclaimed musicians present an evening of popular holiday favorites. Featuring Patty Larkin, Jack Wilson, David Youngman and Jeff Friedlander. An annual event in memory of musician Ed Hall. Woodstock Opera House, (815) 338-5300, woodstockoperahouse.com. Dec. 31, 8 p.m. Welcome the New Year with blues/rock ‘n’ roll musicians Jimmy Nick and the Don’t Tell Mama band. Raue Center, Crystal Lake, (815) 356-9212, rauecenter.org. Dec. 31, 8 p.m. Rock in the New Year with the Diva Montell Band. Arcada, St. Charles, (630) 962-7000, arcadalive.com. Jan. 4, 7:30 p.m. Virtuoso Fareed Haque, steeped in classical and jazz tradition, uses his unique command of the guitar to inspire different musical styles. The career of versatile and skilled musician Chicagoan Goran Ivanovic has been built upon innovation. Metropolis, Arlington Heights, (847) 577-2121, metropolisarts.com. Jan. 5, 7:30 p.m. A celebration of the Simon & Garfunkel concert in Central Park, re-creating the music that made this night magical. Metropolis, Arlington Heights, (847) 577-2121, metropolisarts.com. Jan. 5-7, Fri.-Sat. 7:30 p.m., Sun. 2:30 p.m. With works by Dvorak and Liszt, this program features Bella Hristova, a guest violinist from Bulgaria, and has a distinct Slavic flair. Fri. at Prairie Center for the Arts, Schaumburg, Sat.-Sun. at Hemmens, Elgin. Tickets/Info: (847) 888-4000, elginsymphony.org. Jan. 6, 7:30 p.m. Veteran comedians Jan McInnis and Kent Rader entertain with clean humor on topics the boomer generation can relate to: family, kids, work, DIY projects, dieting, aging and grandchildren. Metropolis, Arlington Heights, (847) 577-2121, metropolisarts.com. Jan. 6, 8 p.m. A Beatles tribute that captures musical details with costumes, vintage instruments and special effects. This show features the U.K. versions of two complete albums, “Please Please Me” and “Rubber Soul.” Raue Center, Crystal Lake, (815) 356-9212, rauecenter.org. Jan. 8, 7 p.m. A comedic family drama tells the story of a young runaway and her struggling writer uncle, two misfits who forge an unexpected connection. Raue Center, Crystal Lake, (815) 356-9212, rauecenter.org. Jan. 12-Feb. 4, Fri.-Sat. 8 p.m., Sun. 3 p.m. In its Midwest premiere, this play pulls back the veil on the world of high finance and equity traders, through the anatomy of a deal that will change people’s lives. Steel Beam Theatre, St. Charles, (630) 587-8521, steelbeamtheatre.com. Jan. 13, 2:30 p.m. The Stradivarius Society’s newest recipient, Joshua Brown, performs Vivaldi’s “Four Seasons” and ESO string principals are showcased. Elmhurst Symphony Orchestra, Mayslake Peabody Estate, Oak Brook, (630) 206-9566, elmhurstsymphony.org. Jan. 14, 3 p.m. Featuring singer, pianist and guitarist Elisabeth von Trapp, granddaughter of Maria and Baron von Trapp, this musical overview showcases fresh arrangements of songs from Broadway shows such as “South Pacific,” “Cinderella,” “The King and I,” “Carousel” and “The Sound of Music.” Metropolis, Arlington Heights, (847) 577-2121, metropolisarts.com. Jan. 17, 7 p.m. Raue Café welcomes local performers of all kinds – poets, dancers, songwriters, jugglers, magicians, comedians – to share their talent and passion for the arts. Raue Center, Crystal Lake, (815) 356-9212, rauecenter.org. Jan. 17, 7 p.m. Based on the sights, sounds and movements of downtown Chicago, this group introduces young people to the art form of stepping, an exciting contemporary African-American dance genre. Raue Center, Crystal Lake, (815) 356-9212, rauecenter.org. Jan. 18, 8 p.m. An evening of sketch and improv comedy. Raue Center Café, Crystal Lake, (815) 356-9212, rauecenter.org. Jan. 19, 7:30 p.m. Re-create the experience of a Journey concert from the band’s most prolific period, with many of the musicians who have performed or recorded with the group. Appearance by Steve Perry. Metropolis, Arlington Heights, (847) 577-2121, metropolisarts.com. Jan. 19, 7:30 p.m. Four internationally acclaimed mentalists demonstrate the power of the mind. Batavia Fine Arts Centre, Batavia, bataviafineartscentre.org. This entry was posted on Friday, November 3rd, 2017 at 11:58 am	and is filed under Arts & Entertainment. You can follow any responses to this entry through the RSS 2.0 feed. Both comments and pings are currently closed.